The 3rd annual T Galleria Festival of Trees is a festive, creative and artistic way to learn more about the rich and diverse cultures of the 27 nations that will be represented at the 12th Festival of Pacific Arts (FestPac 2016), which be held on Guam from May 22 to June 4, 2016. 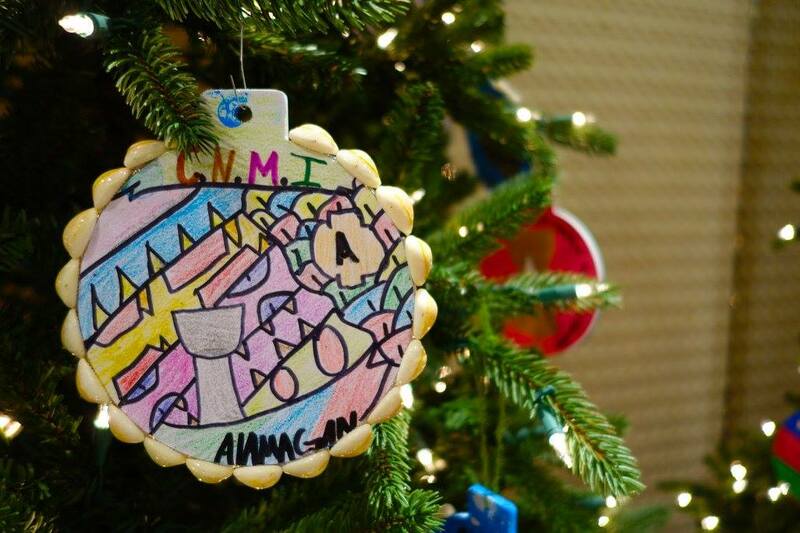 Each of the 27 trees in the festival represents a visiting nation of FestPac 2016 and was decorated by Guamanian elementary school students from 27 competing schools from around the island. The students selected the visiting nations, conducted research, and specially designed and handcrafted each set of ornaments. Over 1,350 handmade ornaments and decorations adorn the trees. Visitors can help the students win cash prizes from $200 to $2,000 for their schools by voting for their favorite trees. Winners will be announced at a special awards ceremony on December 27 at T Galleria. Like the Olympic games, FestPac is a traveling festival whose host country rotates every four years. FestPac brings 27 pacific island nations together in one of the largest and longest-running celebrations of indigenous culture in the world. In just five months from now, Guam will host FestPac 2016 and the island will welcome thousands of artists and festival visitors from Guam and abroad. During the two-week festival, visitors to FestPac 2016 can expect to see each country’s best artists and cultural practitioners, all who have spent years training and preparing for the honor of representing their nations. Visit Guam next summer for FestPac 2016 and experience a rare close-up look at 27 remote island communities that will be coming together to represent and celebrate some of the most intriguing and fascinating cultures of the world.